There’s been a lot of talk about the cost of electricity lately, but what about natural gas? Gas rates have also climbed dramatically in recent years, putting a huge strain on Victorian households who rely on gas for their cooking, heating and hot water. Unfortunately, it’s a bit tricky to find a good deal on natural gas as most retailers prefer to emphasise their electricity offers instead. So to help bargain-savvy gas customers in the Melbourne area, Canstar Blue has pieced together this review of Victoria’s gas prices, to show how much you could save – and where you could find a cheaper gas deal. Which natural gas supplier is cheapest in Victoria? In order to calculate the expected cost of natural gas for you, we’ll use a typical Victorian home on Australian Gas Network Zone 2 in Melbourne as an example. In this case, we will assume the household has gas usage requirements of 81.5 MJ per day, which is about standard for a typical three-person family in Victoria. Of course, not all households will use this much gas, and rates charged will vary across location. Our calculations are based on set assumptions and should only be used as a general indicator of which retailer may offer the cheapest natural gas. The calculations below factor in usage and supply rates, as well as any conditional discounts available on the retailer’s best market offer. “Annual cost estimates based on daily gas usage of 81.5 MJ a day, March 2019. Gas prices based on gas provided through Australian Gas Network Zone 2 in Melbourne. *Product and discount only available where the customer purchases both gas and electricity from the same retailer. There may be other retailers available in your area. Our price calculations suggest that Powershop, Origin Energy and AGL currently provide the cheapest natural gas deals in Victoria, according to this specific comparison. Simply Energy, Alinta Energy, Dodo Power & Gas and EnergyAustralia are also reasonably competitive. However, if you have visited this page before, you will notice that the cheapest providers have changed. Gas prices can change fairly often, so it’s important to keep an eye out for any price increases. It’s important to highlight that, in some cases, the cheapest gas deals will only be available when you also purchase electricity from the same retailer. And what have we learnt about discounts? That the biggest discounts often don’t mean the biggest savings at all, meaning it’s important to see through the marketing and compare on the base gas prices being offered. As you can see from the table above, some of the cheapest deals have no discounts at all. Other comes with big discounts and failing to meet the conditions of these could see you paying hundreds of dollars a year more for gas then you need to. The details of discounts are also important to understand. While some retailers apply discounts to the whole bill, others only apply their discounts to usage charges. Our cost comparison takes this into consideration. Some gas deals may be exclusive to some customers, including Simply Energy’s biggest discount offer which is only available to members of RACV. If you haven’t previously thought about switching to a smaller retailer, our price comparison suggests some of them might be worth a look. It’s the same deal when it comes to the cheapest electricity prices in Victoria. A typical gas bill will include supply charges, usage charges, discounts and any additional fees. Keep in mind that it is not uncommon for gas distributors to charge different rates and/or fees across winter (peak) and non-winter (off-peak) months. Supply charge: This is an ongoing daily charge of typically between 70 and 90 cents per day, depending on your gas network. 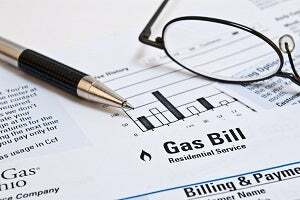 Customers with a mains gas connection incur this fee regardless of the amount of gas they use, even if they don’t use gas at all. Usage charge: This is the component of the bill that reflects the amount of gas you actually used. Some networks charge the same rate for all gas usage, however it’s more common that customers receive what is called a ‘block rate tariff’. This is a type of tariff whereby the rate customers are charged will depend on how much gas they have used. As an example, a rate of 2.8c/MJ may apply to the first 50MJ of gas used in one day and the next 50MJ per day may then be charged at a rate of 2.5c/MJ. Any gas after that will then cost 2.1c/MJ. Discounts: Most retailers offer customers a discount on the usage charge component of their gas bill, however, these discounts will almost always be subject to certain conditions. Some of the most common discount conditions include paying your bills on time, paying bills via direct debit and purchasing both electricity and gas through the same retailer. Gas discounts in Victoria range from around 10% to 25% and will sometimes only apply for a benefit period of 1 or 2 years. Other fees and charges: You may notice some seemingly arbitrary charges added on top of your bill. The explanation for these could be a credit card surcharge, connection fee, late payment fee or even a paper mailing fee. The bill should make clear what the charge is related to, but if not, don’t be afraid to question your gas company on it. There are two types of gas contracts – standard contracts and market contracts. Standard contracts are government-regulated deals, whereby the industry regulator oversees rates, fees, terms and conditions to insure minimum consumer protections. Standard contracts are generally poor value as the rates aren’t particularly competitive and there are no discounts. Standard offers are, however, flexible and reliable with no contract period or exit fees. Most Victorians are on what is called a ‘market contract’. Under a market contract, the retailer has broad discretion to set its own prices and terms. These contracts are almost always better value than standard contracts as they often include generous conditional discounts. Customers looking at market offers must, however, be vigilant of exorbitant rates, exit fees and short benefit periods. Is gas cheaper than electricity? Australian Gas Networks estimates that the average high-use gas household in Victoria spends around $1,267 (on a standard contract with no discounts) each year on natural gas. 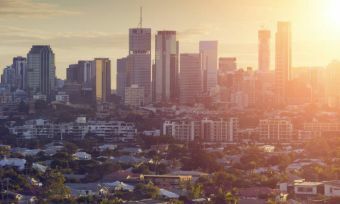 That might sound like a lot, but AGN estimates that is $464 less than what is spent on electricity a year – not to mention the carbon emissions saving. Households with medium to high gas usage will usually find that gas works out notably cheaper than electricity. Customers with a mains gas connection using very little gas may however find themselves worse off for it. That’s because, while gas usage rates are much lower than electricity usage rates, a household with both electricity and gas is paying two sets of daily supply charges. Electricity deals will also include much larger discounts – upwards of 40% – bringing the usage cost of electricity closer to a competitive level with gas. Which gas supplier is rated highest in Victoria? The retailer you’re signed up with has no effect on the quality of the gas you use, or where you receive it from, so naturally you may be drawn to whichever retailer can offer that gas at the cheapest price. However, just because a retailer is cheap, doesn’t mean it’s necessarily good. There are plenty of other factors to consider when picking the right gas supplier for you, such as customer support, bill clarity and even its attitude to environmental sustainability. The point is that it’s important to regularly compare natural gas retailers to ensure that you’re finding a good deal with a good company. That’s why Canstar Blue produces customer satisfaction ratings each year for Victorian natural gas providers. See which retailer is currently rated highest via the link below.